When Allan wed Huey Miin on May 8, I was privileged to share their story and my experience from the church wedding to their banquet by the bay that closed with fireworks that wowed guests with a star spangled sky. Unlike other couples whose Raja Se-hari event was for just one day, their wedding celebration was far from over. The celebration continued the next day with a traditional Chinese tea ceremony where Allan was introduced to Miin’s family and the day ended with a cool “rock concert” at EightLido, that place were Allan met Miin. This was a private party with performances dedicated to the newly-weds, presented by friends and talents both local and from across the sea. I’m sure Allan and Miin valued their time together to recover from the festivities and grab some rest before they gear themselves up for the itinerary planned for the final day of their wedding celebration. Then I learnt that Allan had landed himself in hospital! All the stress and strain of the pre-wedding preparations must have put a kink in his system because after a battery of checks, he was diagnosed with spinal disc herniation and had to wear a cervical collar to relieve the excruciating pain! 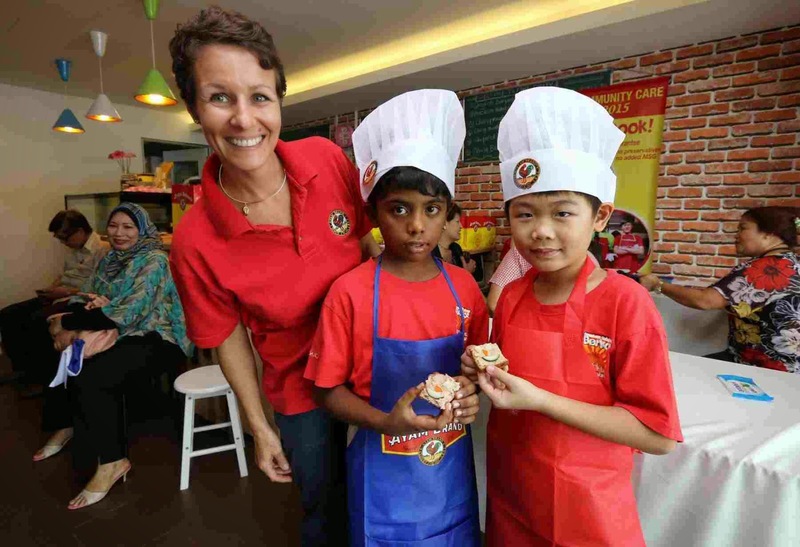 So May 23 kicked off with an exciting outdoor trip to Legoland Malaysia Resort dedicated to guests with young families followed by an evening reception – a Black Tie Banquet at Jen Puteri Harbour Hotel. It was an elegant evening with the men looking smart in their dark tuxedos and the ladies decked up in glittering gowns. Allan and Miin were honoured by royal guests, Her Royal Highness Permaisuri Johor Raja Zarith Sofia and her daughter, the princess Tun Aminah Maimunah Iskandariah, who graced the event. Live music was provided by the Allegro Quartet, whom I recognized, was made up of some members from the National Symphony Orchestra, and later on, guests were wowed by an amazing show by Malaysia’s top illusionist, Zelvin. Knowing Allan, he must have planned a special menu with Executive Chef Alan Wong and I eagerly anticipated the meal (which I was told by none other than Chef Alan himself) that the menu was tailor-made for Allan and Miin’s wedding banquet. I’ve experienced Chef Alan’s cuisine and am aware of his passion to present a meal that not only befits the occasion but also must have the “wow factor.” And I was not disappointed. Chef Alan and his team of 15 chefs certainly worked hard to create a memorable dining experience for the 240 guests. They put in a great deal of effort to present an interesting menu with a balance of bland, strong, sweet and sharp tastes with food in a variety of textures, temperatures and colours. Chef Alan said only the cold scallops appetizer was pre-plated while the main course items where plated ala minute. He said a black tie banquet should be matched by a menu that is distinctly continental and you can’t get more English than green peas. These were used to create a classic rich pea soup served with a choice of bread rolls. This course was followed by an entrée of a light fish dish: Australian snapper with cardamom infused orange sauce. Chef Alan said the cardamom was used to reflect Allan’s Indian heritage. tucked within an ice balloon! “Hot food should go out hot,” said Chef Alan, proud that good teamwork in the kitchen ensured that each guest received their meal while it was still hot. It was a challenge but an unforgettable experience for the team to serve up a storm particularly when royalty and the who’s who of JB were among the distinguished guests at the banquet! A fruited ice or sorbet was served to clear the palate after the fish dish and to prepare guests to enjoy the main course. Inspired by a popular recipe served in Hong Kong dessert houses, Chef Alan created the mango-pomelo ice sorbet from fresh ingredients as the Chinese part of the menu. Many guests at the banquet were probably so impressed by the dramatic presentation of the mango-pomelo sorbet that they thought it was the dessert that signaled the end of the meal. I didn’t blame them because I was also rather fascinated by how the sorbet was served inside a teardrop shaped ice balloon that was lit up by a tiny flashing coloured light! Chef Alan told me he and his team of 4 chefs took 7 days to create the ice balloons using a simple technique with the help of a big freezer. I must admit that it was quite an amazing feat to create not just 10 ice balloons only for guests at the main table but they made 240 of them for each guest at the banquet! Then, the main course of chicken roulade was served. This was created with a roll of tender chicken stuffed with a blend of chicken mousse and mushrooms, drizzled with a choice of apple or rending sauce. One of the serving staff politely whispered that dessert was served in a buffet laid out in the foyer and that we could help ourselves from the spread. Ah! A dessert buffet is a good idea and I always have space for dessert. The centerpiece was a display of Magic Mushrooms – melt-in-your-mouth meringue – bordered by trays of eight types of French pastries including 3 types of chocolate pralines and 3 types of macaroons. I must say, it was a delicious and delightful spread to end our meal sweetly. Meanwhile, Chef Alan and his team spared no effort to present a spectacular spread of this dessert to the guests at the main table, designed on a piece of edible parchment paper. The Magic Mushrooms were attractively presented along with macaroons created in Allan and Miin’s wedding theme colours – red, black and white – cubes of cake and chocolate pralines in various designs including cute pairs of pink lips! A wedding banquet was not complete without speeches and the first of these were given by Dr Maria Fernandez, Allan’s mother and Miin’s elder brother, Jeremy Kee. Among other recollections about Allan, his mother said that his deeply caring and loving personality is a source of great pride and joy. Meanwhile, the brother of the bride closed his speech with a few words of advice and commended Allan by saying that he couldn’t think of anyone else more worthy of marrying his sister. The Best Man’s speech, incidentally, was not given by Allan’s best man but by Suzie Yap. In the tradition of Best Man’s speeches, she poked fun at him by drawing quotes and references from his FaceBook posts but concluded that Allan is a good friend and role model. There were a few “wow”moments throughout the evening but the sincere and unscripted exchange between the bride and groom was truly a fitting end to a meaningful and memorable month-long wedding celebration. Thanks, Allan and Miin, for letting me be part of this momentous milestone in your lives! God bless. Traffic congestion along Jalan Tun Abdul Razak in Johor Baru has worsened due to inconsiderate drivers who choose to park on the road instead of in the carpark as the Danga City Mall (DCM) Expo Hall gained popularity as an event hall. carpak located just 100m away! Visitors to the events have become totally recalcitrant as they choose to double-park all the way from outside the mall to the junction of Jalan Kebun Teh Lama. Cars that need to make U-turns at the traffic lights to head into DCM find it difficult to turn an arc as the road was made narrow by cars double-parked on the opposite side of the road. I’ve even seen cars parked half-way up the ramp parallel to the mall, causing the double-lane ramp to the Inner Ring Road to be reduced to one lane. Some of these drivers have also carelessly parked on the stripes painted on the road as a divider and even on the pavement under the ramp, causing more obstruction to traffic on the highway. Aware of the problem, DCM deployed staff to direct traffic into the carpark especially during events at the Expo Hall. But drivers continue to blatantly ignore the staff and choose to park their cars outside. The truth is these car owners want to enjoy the event in the hall but are simply too lazy to walk the distance from the carpark and too stingy to pay parking fees. It’s a shame that people want to enjoy a sale or can afford to shop at branded boutiques but yet do not have the common courtesy to park their cars in the right places. Recently I saw a car with a red P sticker double-parked outside the new Johor Baru City Centre (JBCC), right next to a traffic sign for Strictly No Parking. The car was obstructing the lane to turn into Johor Baru City Square and as I was commenting about the driver who does not know his or her Highway Code, she came out of JBCC holding a Victoria Secret paper bag and boldly got into her car and drove off. “Se-kejap sahaja!” seems to be the attitude of selfish and inconsiderate drivers who only care about their own comfort and convenience. They think that leaving their cars in a No Parking zone for a little while is all right but the sad truth is such bad attitude is setting bad examples to young people and children. New generations of drivers are learning from the adult drivers’ bad attitude by observing that it’s all right to disregard law and order and just do as they wish. There are carparks available throughout the city but many drivers just choose not to park there. For instance, the roads outside the Persada International Convention Centre are often congested because visitors to the events there refuse to park in the indoor or outdoor carparks. Similarly, the road outside the Puteri Specialist Hospital is always narrow and not a smooth path for emergency vehicles because drivers just refuse to park in the adjacent carpark which is only 100m away! When there's an event in DCM's Expo Hall, indiscriminately parked cars outside are a traffic hazard to other road users! These recalcitrant car owners have created their own parking space on the stripes painted on the road as a divider! It's incredible how these car owner insist on parking half-way up the ramp leading to the Inner Ring Road! There are signs warning of clamping tyres and fines but unless these actions are enforced, stubborn drivers will continue to behave irresponsibly. I strongly urge mall owners, the City Council and Traffic Police to put in their concerted effort to enforce the rules and regulations consistently to educate errant drivers and deter them from bad behaviour. When cars are parked in the proper places, then roads will be clearer for smoother journeys and the comfort of all road users. It was a nostalgic trip to Johor Baru for the Lord Mayor of London, Alderman Alan Yarrow, when he visited the Johor Area Rehabilitation Organisation or JARO, recently. 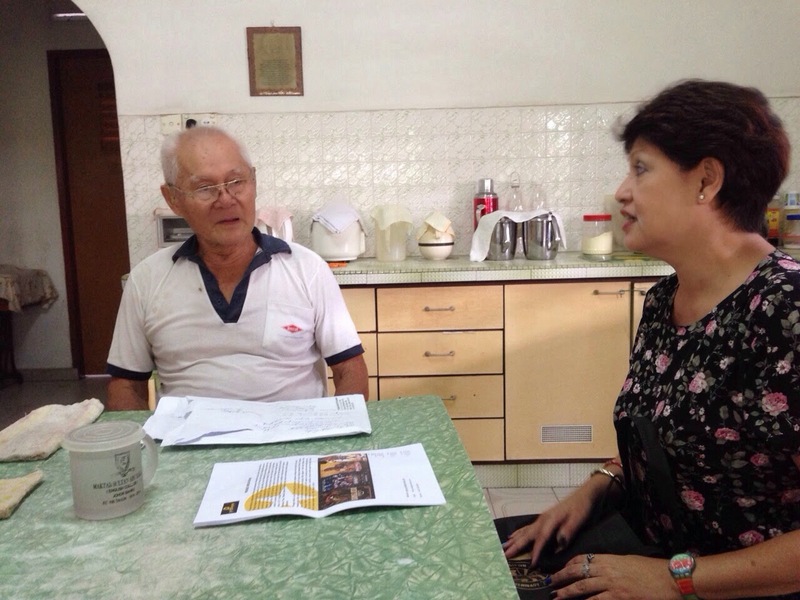 Accompanied by his wife, Gilly, Yarrow was on a private visit to JB and his sentimental trip included a stop at JARO, a registered charity where his mother, Paula Yarrow, used to volunteer. When he addressed the JARO committee members and friends gathered to welcome him, his first words in Malay, “Saya orang Malaysia,” drew loud applause. He declared that he was Malaysian because he was born in JB in 1951 and lived his first six years here. JARO was established as a sheltered workshop for recovered tuberculosis patients in 1952 where his mother worked as a volunteer. “The taste, smell and colours of Johor – it’s a real pleasure to be here,” he declared. His father, Colin Yarrow, founded Metal Box Company, a can making factory in Woodlands in 1948. Yarrow fondly recalled growing up in their home at Jalan Straits View, near Bukit Serene, at a time when cobras from the garden were often found inside their house. There were also coconut trees in front of their house which he enjoyed climbing. He even remembered a few Malay words and phrases like, susu (milk) and tutup pintu (close the door). Yarrow, who was on a 2-day working visit, said that the city has changed beyond recognition since his last visit here 6 years ago. The work of JARO and other charitable organisations for people with disability, is close to his heart not only because his mother once volunteered here but also because his 34-year old son also suffers from cerebral palsy. After a tour of JARO’s workshops for Bookbinding, Basketry and Tailoring where they admired the quality handmade products, Yarrow and his wife made JARO a donation of RM11,000. Also present at the event were representatives from the British High Commission Kuala Lumpur, Acting High Commissioner His Excellency Paul Rennie and Deputy Director of Trade & Investment Stephen Hill, Pulai Member of Parliament, Datuk Nur Jazlan Mohamed, JARO Chairman Datuk Jimmy Low Boon Hong and committee members. A project by local film-making company, Prodigee Media Entertainment, to produce a documentary on the players in the badminton team who won the Thomas Cup in 1949 brought the crew to Johor Baru recently. The inaugural games in 1949, was to become the most important men's badminton competition in the world. Malaysia, then known as Malaya, was the only Pacific zone participant and beat Denmark 8-1 to become the first nation to win this prestigious title! As the project members did their research on the 1949 team, they looked at archive records in Malaysia and Singapore and even those in the United Kingdom. Among other information they found on line, their research brought them to My Johor Stories, in particular to my "grandfather stories." Here's where I shared stories about our grandfather or Ah Kong who was the trainer of one of the greatest singles players of the early post-war period and a member of the first Thomas Cup team, Wong Peng Soon. I had written that when Ah Kong passed away in 1980, the headline of a newspaper report said that he was "The Maker of Champions." That was because he not only trained badminton greats like Wong Peng Soon, he also equipped his children with the skills and tactics to become champions in their own right. His eldest son, our Uncle Roland was Johor champion for consecutive years - taking over from Ah Kong who was reigning Johor champion for several consecutive years. Uncle Roland's last international title was singles Veteran Champion and he also partnered the late Datuk Eddy Choong to become doubles Veteran Champion. As Prodigee Media (www.prodigeemedia.com) tracked down family members and friends of the 1949 Thomas Cup team, they travelled to the North to meet their contacts for interviews and to document their memories about that momentous event. They also contacted me by email to ask about the family of Wong Peng Soon and I told them that since Ah Kong had passed on, the best person for them to speak to for first-hand info, was Uncle Roland. Uncle was just 19 years old then but he has vivid memories of past badminton heroes, local and international, and is a fountain of information on all things to do with badminton. In a series of email exchanges with Prodigee Media, we discussed the appointment to meet with Uncle for an interview. 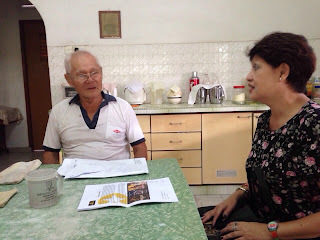 I explained that he is now a senior citizen of 84 years, who would require advance briefing to prepare him for the appointment set up for the interview. When I received a list of 20 discovery questions from the producer to give to Uncle as a guideline for the interview, I enlarged the font before printing it out. Then I took a drive to Kota Tinggi where he lives and spent time to clarify each question so that he could jot down brief notes for easy reference during the interview. There was another week to the appointment so it gave him plenty of time to think through each question and dig out any old newspaper cuttings and articles to support his comments. Meanwhile I finalised the arrangements with the crew who was coming to Johor Baru with the producer to meet Uncle for the interview. I was told that they will drive from Kuala Lumpur to JB to meet me before I accompany them to Kota Tinggi to interview Uncle. We agreed to meet at the Mutiara Johor Baru, a convenient landmark for visitors who are unfamiliar to JB. I would head there to meet them when I received a call as they exited the toll gates but I however, got a call from them a little earlier telling me that their car suffered a puncture when they passed Seremban but were already safely en route to JB. My friend, Sam the Director of Rooms at Mutiara JB stopped by to have a chat when he saw me waiting in the hotel lobby and I told him the reason I was there. In a few minutes, two young ladies approached me and introduced themselves as members of the crew from Prodigee Media. Producer, Alicia Tan, told me they aim to produce this documentary on time to enter the coming Busan International Film Festival in Korea (Oct 1 - 10) and before we left for Kota Tinggi, I had the opportunity to brief them about Uncle, what to expect and what to do when he talks (out of point!) on a topic that he is so passionate about! On the table, I also saw Uncle's old scrap books filled with yellowed newspaper cuttings and next to the table, were the two wooden trophy shields mounted with smaller silver plaques with engraved names of the annual champions in the 1950s. His wife, Aunty Elizabeth, joined us and I sat with her on the sofa as the interview was recorded over the next three hours. I'm familiar with our family's badminton stories but it was good to hear it again while it was being recorded from Uncle's answers to questions that Alicia asked and prompted him to further elaborate on any particular points. Uncle talked about Ah Kong's Companion Badminton Party where he trained many young people in the game. He said Ah Kong first met with Wong Peng Soon and his brothers, Peng Yee and Peng Nam, when he started dating our grandmother, Mak Cheng Hai, who was a cousin of the Wongs. At that time, the Wong family and their extended families lived in the san pah or new village that had developed around a freshwater pond near Jalan Ah Siang and Jalan Lumba Kuda. These Wongs belong to the family of Wong Ah Yam, better known as taukay Yam, the nephew and business manager of Wong Ah Fook, one of JB's founding fathers. When Ah Kong used to frequent the san pah to see his then girlfriend, who later became our grandmother, the Wong brothers recognised him as the Johor badminton champion and asked him to help build a badminton court there and to train them in the game. Uncle impressed the crew when he spelled out the international standard measurements of a badminton court, the size of a typical court that Ah Kong built with the Wong brothers back then, under the chiku tree. There, he trained the Wongs and as they acquired the skills, they formed the Johor team of 1939 who became champions when they won the Foong Seong Cup, a trophy donated by a Chinese businessman. When Tan Sri Mohamed Khir Johari became president of the Badminton Association of Malaysiam (BAM) in 1960, he renamed the trophy, the Khir Cup. On the subject of the BAM, Uncle declared that Malaysia is not treating our former players fairly. In those days, players did not play for personal fame or glory but for the nation. He regretted that some players even passed away lonely, miserable and forgotten. In fact, the great Wong Peng Soon passed away after suffering a stroke. He said unlike Korea which gives sportsmen a pension for life, Malaysia does not have a retirement plan for older sportsmen who had given up their careers and fortunes to represent the nation in the international sporting arena. Sports personalities of today have sponsorship incomes and prize money but in the old days, players had to rent halls to train themselves, bought their own rackets and paid their own way to travel to tournaments. Uncle emphasized that badminton is not about making money. If Malaysia ever wants to regain its position in world-class badminton, he said BAM must revive the process to identify young talents at the grassroots level. Begin with Primary school competitions before going on to Secondary school and inter-school competitions to identify young champions. Then coach and motivate them to participate in state and national events to give them more exposure and experience. Uncle shared his own experiences about observing his parents playing the game (yes, they were Mixed Doubles champions!) and also learning to string badminton rackets. Later he joined Ah Kong in training his siblings in the game and discussed the skills in "reading the game" especially to anticipate where your opponent would return the shuttlecock. In those days when centralised training did not exist, he and other trainees would run up and down steps like those at Batu Caves and the back staircase at Bukit Timbalan! When the first Thomas Cup team went to participate in the inaugural Thomas Cup, they travelled by steamship and the finals was played in Preston, England. Over the weeks in their journey across the ocean, the team kept a strict routine of daily physical exercise including skipping to build up stamina - for the estimated duration of an entire game. He said Wong Peng Soon did not have a foreign coach but yet he became a world-class player. He was probably born with a gift in the game and with a good coach and the right attitude, he excelled in his game. Others who were trained by Ah Kong and excelled in their game include his younger brother, Billy who was a member of the 1967 Thomas Cup team who brought the trophy home as well as their youngest sister, Sylvia, who still holds the prestigious title as the only Asian women to win Gold for badminton in the 1976 Commonwealth Games in Edmonton, Canada. New and talented players emerge from China, Thailand and Indonesia every now and then because they have proper long-term planning by people who understand the game. These nations do not have foreign coaches and are yet able to identify good players and successfully train them for international competitions. I could see that Uncle thoroughly enjoyed himself sharing his thoughts about past players, local and foreign, quoting tournaments, years, names and even the scores. He also lamented about so many generations of young people being lost due to the lack of long-term planning in identifying young sports talents from the grassroots level. Uncle recalled the unforgettable thrill of hearing the news reports about Malaya emerging the champions of the 1949 Thomas Cup, especially as his own uncle Peng Soon was part of the team. The news was first reported on radio and later published in the local newspapers. We did not know where the time went that afternoon as Alicia brought the interview to a close. Except for the pauses taken to change the camera chips and battery packs, it was a fruitful solid three hours of Uncle's non-stop story-telling. The team packed up and left for KL while I returned to JB and a few days ago, I received an email with an update that they have successfully transcribed the 3-hour interview with Uncle. While the crew continues with the project, I assured Uncle that he will receive a copy of the documentary when it was completed and submitted for the film festival. It was both fun and interesting to be a bit-part of this project. To me, the documentary is already a winner as it will go a long way to record the courage and commitment of a few young men from a recently war-ravaged Malaya, who trained hard to earn a prestigious place in badminton history as the first team to ever win the coveted Thomas Cup in 1949. This event coincided with an exciting exhibition on the art of traditional Teochew entertainment at the Classic Accents Art House, a gallery dedicated to the preservation of aural heritage. The Classic Accents Art House is a collaboration of Eh He and popular RTM Ai FM Chinese radio personality and performing artiste, Chong Keat Aun. While Chong is Cantonese, he is fluent in Teochew, a dialect he learnt from his grandmother when he was exposed to Teochew opera and the art of stage makeup from an early age. Aware that more and more Chinese dialects are being lost with the passing of elderly folks, Chong embarked on a project to collect sounds, mainly in traditional music, to curate for posterity. For a peek into the art of traditional Teochew entertainment in then Malaya, visit the gallery where you may experience some of the earliest Teochew operas that gradually developed into modern operas. Various audio exhibits are created for visitors to listen to excerpts from popular shows and vinyl records by artistes of that era. A fascinating feature of this form of traditional music is the trend where women would play the roles of men with great success and popularity! carvings dismantled from the family's "home theatre"
When Chinese who originated from Kwangtung, Kwangxi and Teochew districts of Canton province migrated to Nanyang in the mid 19th century, they also brought along their culture and entertainment. The Chinese referred to the region south of mainland China as Nanyang or South-east Asian nations like Thailand, Singapore, Indonesia and then Malaya. One of the exhibits of a rare collection of Teochew opera lyric books discovered in Pulau Ketam in 2009 comprised opera scripts and lyrics and some carvings that used to decorate the family’s “home theatre” in Shantou, China, that were dismantled to bring along to a new and unfamiliar land. The family, who gave the books and carvings to Chong, told him that they belonged to their grandmother – a daughter from a wealthy family – who thought that Nanyang was an uncultured land and had to bring her lyric books as well as the carvings as mementoes from her former life. Chong said the family matriarch was aged 78 when they met so these artifacts should date more than 100 years old. He said the carvings depicted scenes from popular Teochew operas that are quite unidentifiable now because the details have been eroded with time. Wherever they settled, immigrants known as sin kek or “new guests” in their adopted countries, created a new life for themselves. They would build temples, usually with an adjacent stage, where opera shows were performed for their entertainment on temple festivals. After World War II, traditional stage performances moved away from temples into shows that were performed in amusement parks like Singapore’s Great World and New World Amusement Parks. Historically, Teochew opera drew a great deal of inspiration from the development of Cantonese opera that continued to advance in Hong Kong. In the 1950s, Cantonese and Teochew operas, that used to be only performed on stage, started to be filmed and screened in theatres as film shows. In those days, publicity for a coming opera show or film was in the form of one-colour printed flyers, distributed to homes and around town. The exhibits include opera costumes, musical instruments used for Teochew operas and a typical opera stage complete with a painted cloth backdrop, and one table and two chairs while the backstage exhibit is a wooden trunk that dates back to the 1930s. This unique contraption was designed with a special chest of drawers for travelling actors as a mobile wardrobe-dressing table and personal space where he or she would eat and dress up for the show. There is also an interesting exhibit on the art of Teochew opera by puppets loaned from a family skilled in Teochew opera and puppetry in the Teochew Puppet and Opera House, Georgetown. The Classic Accents Art House is located within Eh He – Earth Heart, at No. 1, 2, 3, 4, 5, 6 and 7, Jalan Trus, Johor Baru. Open daily from 11am to 10pm. Some 250 women dressed in pink, enjoyed hours of non-stop line dancing in the annual breast cancer awareness event organised by the Johor Baru Breast Cancer Support Group (BCSG JB) on May 17. Themed, Vive La Vie, the French way to say, “Celebrate Life” the atrium of Plaza Pelangi turned into the dance floor for line dancing, one of the physical activities that cancer survivors enjoy as a form of exercise. “The response to support BCSG JB is so good,” said Doris Boo, President of BCSG JB, herself a survivor for the past 18 years. She is the driving force behind the team who plans and organises activities to create awareness of what BCSG JB can offer to help patients and survivors achieve a better quality of life. Boo was encouraged that BCSG JB members were joined by more than 200 registered participants from some 20 dance academies in and around Johor Baru for the line dancing activity. “Line dancing gives so much joy and helps us in the journey of healing,” she added. Dressed in shades of pink to reflect the Pink Ribbon, the international colour of breast cancer awareness, female line dancers – with a few men among them – formed rows to kick off the event with enthusiastic non-stop dancing. They started dancing with joined hands to a song made popular by Bette Midler entitled, Sisters, in steps choreographed by and learned from Darren Bailey, 10-time World Line Dance Champion from the UK. Bailey, who is now retired from professional competitions, visited JB recently to conduct a line dancing workshop with BCSG JB on the invitation of the four Lim sisters, one of BCSG JB’s strongest supporters and who also happen to be keen line dancers. The Lim sisters also took the initiative to act as Master of Ceremony for the event and led in the line dancing to encourage the brave survivors who are applying their experience with the effects of cancer to become more positive about life, their relationships and position in the community. “BCSG JB is constantly reaching out to provide information about breast cancer and promote the wellbeing of new patients and survivors,” said Boo about the ongoing activities of BCSG JB that includes regular hospital visits, outings and a range of recreational activities like line dancing and swimming. “Through practical and moral support, we try to give newly diagnosed patients the much needed encouragement and advice to start their own fight against the dreaded disease,” she added. Besides line dancing, the annual breast cancer awareness event included a road show where the public is educated on some of the services offered by BCSG JB like Breast Self Examination (BSE), the proper use of prosthesis in a programme dubbed “Bosom Buddies”, post-surgery physical exercise as well as personal grooming in “Looking Good – Feeling Great.” This year, the event was supported by a team from KPJ Puteri Specialist Hospital who provided free health checks and the College of Radiology, Kuala Lumpur, who also offered mammograms at subsidised rates as well as a professional dietician who gave free advice. Through this event, women were advised and empowered to take charge of their own health for themselves and their families. Registered as a Non-Governmental Organization in March 2004, BCSG has annual events to raise awareness of breast cancer and reduce the stigma of breast cancer, as well as promote education on the symptoms because early detection may lead to higher survival rates. Having experienced the pain and suffering, fear and anxieties as patients, BCSG members who are survivors are reaching out effectively to give hope to newly diagnosed patients and encourage them on their journey to wellness. Among the volunteers are retired medical professionals who are trained to provide emotional and psychological as well as practical advice to help newly diagnosed patients and their families to deal with the challenges in their journey ahead. Ayam Brand, a household name in Asia for 120 years and famed for its wide range of healthy, convenient, preservative-free canned products, held their annual corporate social responsibility event in Johor Baru on May 12. Under their ‘Kids Can Cook’ campaign, children from participating charity homes learned how to cook simple, well-balanced, nutritious meals under the guidance of celebrity Chef Loke from T-Garden Cooking School. The nationwide Ayam Brand Charity Campaign, now in its eighth year, has benefitted more than 14,800 people from 312 charity organizations. This year, 48 charity homes from across the nation will receive Ayam Brand tuna, mackerel, kernel corn, processed peas, peach slices and baked beans, sufficient for daily meals for all residents for two months. More than 1,600 children, disabled, single mothers and old folks will benefit from this sustained aid. In Johor Baru the recipients include Persatuan Kebajikan Berkat Johor Baru, Pertubuhan Kebajikan Insan Istimewa Johor Bahru, Rumah Cheshire and Pusat Kebajikan Kalvari Johor Baru. The campaign is in-line with the Ministry of Health Malaysia’s efforts to fight obesity by educating and encouraging children to make informed food choices. Through its work in promoting healthy eating habits among children and adults from professional bodies, schools, charities and edutainment centers, the brand has proven that quality canned food can be part of a healthier diet. 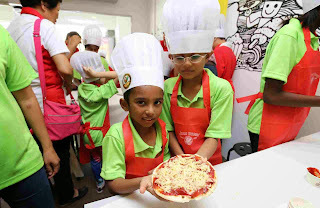 In a fun-filled and interactive learning session, the children learnt how to prepare four dishes using Ayam Brand Tuna that was specially developed to suit people of different ages and abilities. Their interesting and delicious Tuna Puff, Tuna Sandwich, Tuna Sushi and Tuna Pizza were created from recipes that focused on nutrition, simplicity and convenience. Ayam Brand believes that their contribution of tuna products has benefited many charity homes that lack regular access to a good source of Omega-3, an essential fatty acid that our body cannot produce. Studies indicate that Omega-3 may help to prevent coronary heart disease, promote healthy nerve activity, improve vitamin absorption, maintain a healthy immune system and promote cell development. It is also important for the development of vision and brain among children. “We believes that the Kids Can Cook campaign is an ideal platform for children to gain exposure in culinary skills that can help to build their self-confidence and make them more independent,” said Ayam Brand Marketing Manager, Marie-Magali Falcoz, a mother of three children aged between 5 to 12, who shared her personal experience that children’s early exposure to preparing food can reinforce reading, counting and even logic skills in them. with kids who have completed their Happy Face bread slices! “Involving children in cooking has many benefits from learning basic maths like counting eggs for example, or learning how to measure volume and weight of ingredients. Cooking promotes literacy by introducing new words and to young children. And it’s also a good time to bond with the children in an ‘I Can Do It’ spirit,” said Falcoz. “Ayam Brand aims to equip children with the knowledge and skills to make not just better food choices but to make their own healthy meals. The good habits and skills they learn at this age will last them a lifetime. Fast food will not be their first option if they can make their own tasty and quick meals. And early exposure to good food can even inspire them to make cooking their career,” she added. Raymond Choong, Home Director from Persatuan Kebajikan Berkat Johor Baru, said that the contribution from Ayam Brand was valuable as it extended the variety in the children’s regular diet, and was fast and convenient to prepare. Speaking on behalf of the recipient homes here, he expressed their appreciation for the continued and timely support from Ayam Brand as most charity homes have been facing shortages due to reductions in donations from corporations and individuals in the current economic conditions. “Donations and contributions are not as high as last year so Ayam Brand’s contribution is a lifesaver for us. The children enjoy the tuna as it is something different from our usual diet, and we are happy that we are able to provide a healthy option to our usual fare,” said Choong. 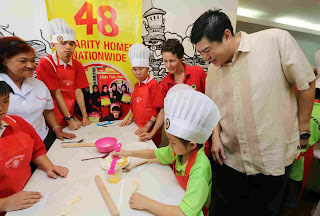 “We hope the Kids Can Cook campaign today will encourage the development of their culinary skills and our children will be more independent and ease our burden by helping our kitchen staff to serve other children at home,” he added. 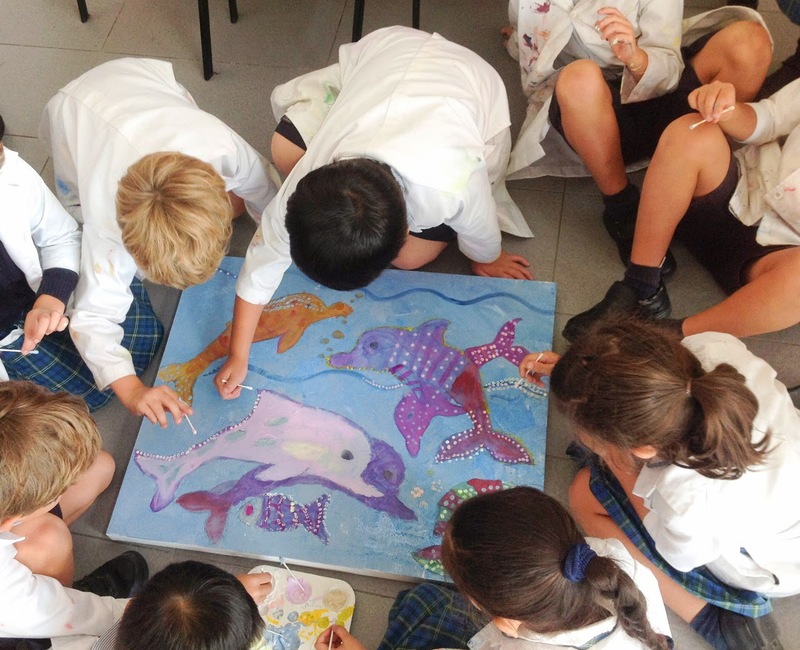 The third Marlborough College Malaysia (MCM) Charity Art Auction held on May 7 is a highly anticipated event in the school calendar when parents and friends of the College come together to raise funds for a number of local Johor charities. A total of 21 Lots were offered in the live auction while another 20 Lots were displayed for the silent auction. The evening was exciting and enjoyable with Master, R B Pick, who added to the fun with his witty comments as the auctioneer. The highest bid of RM4,000 was for One Big Family, an artwork in the style of Australian Aboriginal Art by MCM’s youngest artists aged 4 to 5 who used their fingers to convey the story of a family of sea turtles. 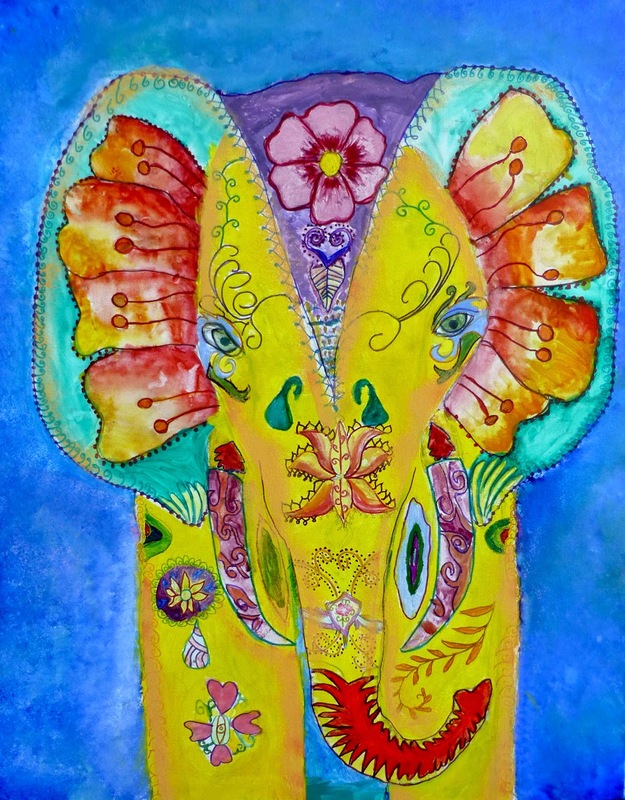 Second highest bid of RM3,500 went to The Jewel of India by Year 6 pupils who were inspired by bright colours and patterns of India to create an artwork that glowed with layers of warm bright colours. Master, R B Pick, added to the fun with his witty comments! Each year the Art Auction focuses on a central theme with almost every pupil in the College involved in the production of art pieces that were auctioned off during the course of the evening. This year’s theme on Creative Nations was a celebration of cultural heritage and the pupils’ creative responses as global citizens from various countries and cultures. 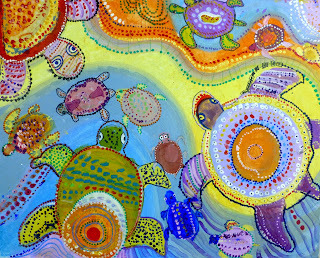 “While we do not claim to have covered every corner of the globe, every year group has taken inspiration from a different part of the world, reflecting many different cultures and artistic traditions from Australia to the Americas, Europe, Africa, the Middle East and Asia,” said Head of Art, Lucy Prime as she commended every artist in the MCM community for their contributions to the artwork. “It’s a great privilege to see the children making art and the Art Auction Project is the perfect opportunity to experience the joy of creating with them,” said Prep Art Teacher, Michaela Marcovici, feeling pleased that while this project was great fun, pupils have also developed new techniques and consolidated skills. “Discussion, debate, disagreement and difficult diplomacy have all played their part to forge some fantastically diverse and engaging work this year, with every child having their say, adding their mark and hopefully learning that sometimes, at least, the sum is much greater than the parts,” said Prep Art Teacher, Daniel Scott about interaction of pupils from Prep School to the Senior School who took part in the creation of unique pieces of art in the Art Auction Project. For the first time this year, Care Haven Orphanage, one of the College’s supported charities, created a piece of artwork that was a centrepiece of the auction. Care Haven is a non-profit welfare organisation that provides housing, education and social welfare to disadvantaged children. In January this year, the children of Care Haven came to MCM for a day of activities, one of which was to create a piece of art entitled, Wau Bulan which was auctioned at RM3,000, the third highest bid in the auction. 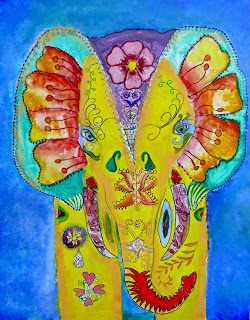 The College has strong associations with Care Haven and all funds raised from the sale of the canvas will go directly to the orphanage, which will be used to help fund a new eco home for the children. Other charities that will benefit from the funds raised at the auction are the Handicapped and Mentally Disabled Children’s Association of Johor Bahru, the Palliative Care Association of Johor Baru and the UNICEF appeal for victims of the Nepal earthquake. “We are all privileged people and privilege comes with responsibility,” said Pick as he encouraged the audience to dig deep into their pockets to support MCM’s chosen charities. “It’s not about us, it’s about the people we can help and make the community better,” he added. As a patron of the arts and supporter of local charities, HRH Permaisuri Johor Raja Zarith Sofiah graced the event as a Friend of Marlborough College Malaysia and showed great interest in the beautiful artworks produced through the collaborative work of the pupils. Guess who I met in Hoi An? Preserve the spirit of heritage walk, please!